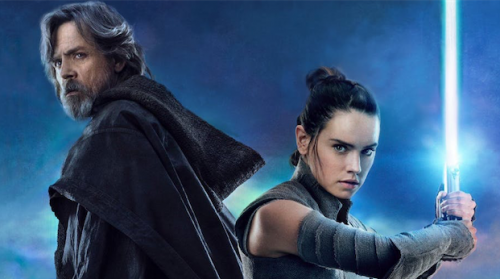 Mark Hamill as Luke and Daisy Ridley as Rey in “Star Wars: The Last Jedi”. THE production company may be Lucasfilm but the corporate muscle behind the eighth title in the “Star Wars” franchise is Disney. I wonder, was it coincidence that on the day the film got released worldwide, Disney told the world it had just paid a very big scrunch of money to buy 20th Century Fox from Rupert Murdoch. Disney needs a serious money transfusion to help its balance sheet to recover from December 14, 2017. And from what pot of gold will Disney start that process? Your wallets, cinemagoers. And how will it do that? By telling exhibitors to be tight-fisted about what to charge for everything connected with the film – concessional admissions and merchandise being what patrons will see where they feel it; while what exhibitors have to pay to screen it is “commercial-in-confidence”. “Star Wars: The Last Jedi” runs for 152 minutes, including a closing credits suite of about 12 minutes – I left as soon as they began to roll. What the film shrieks for much of its length is fantasy invention filmed in the UK, Ireland, Croatia and Bolivia as well as North Carolina with strong Hollywood military flavours that came close to making me puke. The human beings involved in producing it – the marketing budget is not public information – would come close to filling an Airbus A380 configured for full economy. Have all those folk wrought a good movie? That depends on your taste. It’s escapist to the max. Set “long ago in a far-away galaxy”, written by director Rian Johnson, it reprises surviving characters from those whom George Lucas invented for the first “Star Wars”. Andy Serkis (remember Andy? Gollum in the “Lord of the Rings”) plays Supreme Leader Snoke – for a realism comparison in a none-too-subtle lampoon, think Kim Jong-Un. In her final role, Carrie Fisher reprises revolutionary leader Princess Leia. Mark Hamill reprises Luke Skywalker, the last Jedi. Daisy Ridley plays Ren, the revolutionary heroine who persuades Luke to leave his hermit’s cave and return to join the battle to overthrow Snoke. Good versus evil. Where would the dramatic arts be without those two good antagonists? But while diversion from character action to conflicts created in a computer may have high creative values, the artificial images are repeated so often that they become boring and swamp the rest of the film in their destructive tedium. At all cinemas – in Canberra that means six, in Melbourne, 46!